Are you or your child a massive star wars fan? Then this death star wall sticker is the perfect accessory to decorate your room. 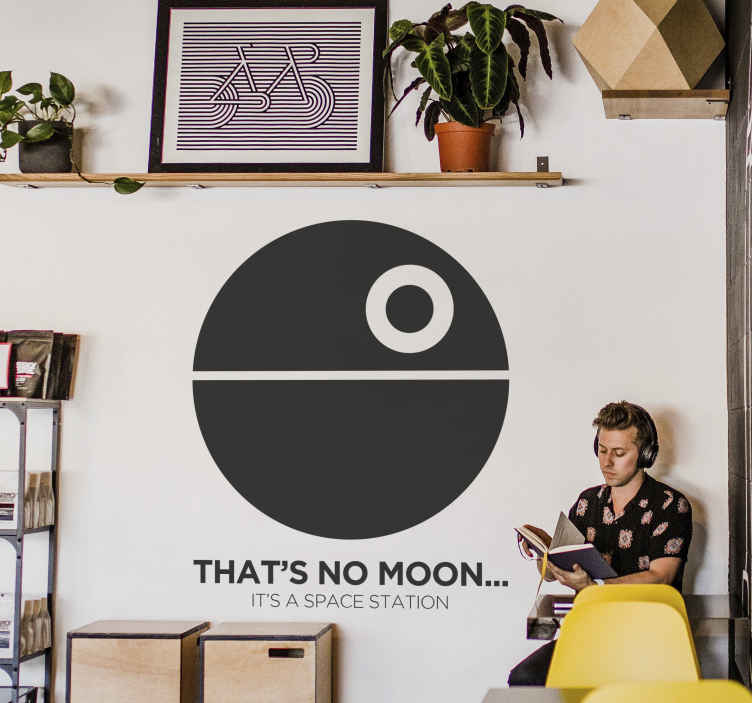 The wall decoration consists of the death star with the text "That's no moon...it's a space station" written underneath. This sticker is available in a variety of sizes and colours to suit your needs. We use a special adhesive film that make no mess and is easy to apply to any flat surface.